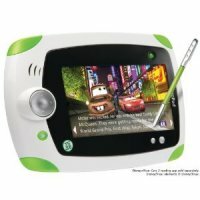 Tipped by Toy R Us as this Christmas 2011 must-have toy, demand for the Leappad is already currently outstripping supply with stock shortages throughout the UK. The past 7 days has seen a significant increase in traffic to the Stock Informer website in respect of the LeapFrog LeapPad tablet, however stock has been increasingly scarce with only very small pockets of stock appearing online at Boots and The Early Learning Centre websites. Hardly any stock has also been reported at local Argos high street stores. It is not known when the next shipment will arrive at UK retailers, however when it does, it is again sure to sell out very quickly. Registered users of Stock Informer will be immediately notified via email and SMS text message alerts when stock is detected by our servers, giving them the best chance of buying before stock runs out. From our experience, popular hot electronic devices are usually the most likely to experience stock shortages at Christmas. This is due to the sheer number of individual components required to make up the device which are very often manufactered by different companies sometimes making it difficult to keep the supply chain running smoothly. Popular video games will hardly ever encounter stock shortages as CD/DVD's can be produced in their millions by a single manufacturer without the reliance of others. Described as the 'iPad for Kids' the LeapPad is aimed at 4 to 9 year olds and costs in the region of £79.99 as opposed to a basic starting price of £399.99 for a basic iPad 2. Also, parents need not worry so much about sticky figures or even worse the tablet being dropped on the floor as the durable LeapPad is designed to be kid proof! With internet connectivety also surpressed, parents can also be assured that their children are not accessing inappropriate content behind their backs.